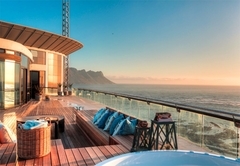 Ocean View Penthouse Apartment is a property providing self catering in Strand for up to 8 guests visiting the Cape Helderberg region. 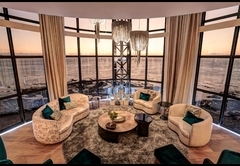 Situated in Strand, The Ocean View Penthouse is just 20 minutes drive Cape Town International Airport and a 30 minute drive from Cape Town. 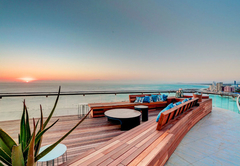 Boasting views of the coastline and mountains, Ocean View Penthouse accommodates eight guests on a self catering basis. 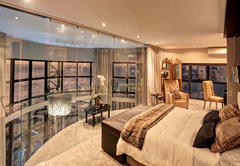 The Penthouse has four en-suite bedrooms. 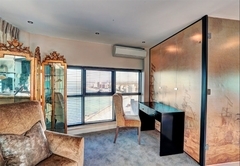 Poseidon's Pad, Coral Cove and Neptune's Cave are furnished with King-size beds and Piscean has twin beds. 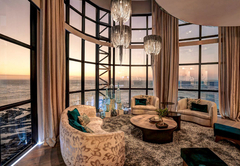 The spacious interior is made up of a lounge and a beautiful dining room. 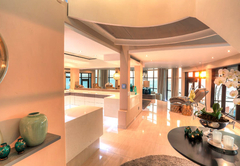 There is a fully equipped kitchen and a built-in braai area. 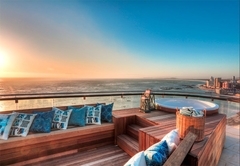 There is also a large deck area with Jacuzzi. 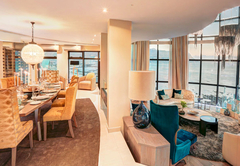 Ocean View is within close driving distance of Erinvale Golf Course and the Somerset Shopping Mall and the popular Cape Winelands are a short drive away. 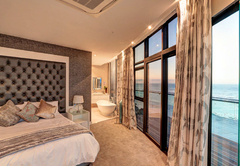 Featuring en-suite amenities, two of the bedrooms feature magnificent views afforded by their glazed facades, allowing guests and residents alike to enjoy the scenic beauty of the ocean, sky, and earth in the form of Table Mountain and the Stellenbosch. 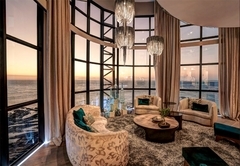 Response timeOcean View Penthouse Apartment typically responds to requests in 5-10 minutes. Child policyChildren under the age of 16 are welcome subject to prior permission and the signing of an indemnity form.